Technology has penetrated deep into our lives – the last 5 decades of IT sector have been characterized by intense development in electronic storing solutions for recordkeeping. Today, every file, every document is stored and archived safely and efficiently – rows of data are tabled in spreadsheets and stored in SQL relational databases for smooth access anytime by anyone, of course the authorized persons. Data is omnipresent. It is being found in data warehouses, data lakes, data mines and in pools. It is so much large in volume nowadays, that it can even be calculated in something like a Brontobyte. Information is power. Data stored in archives are used to make accurate forecasts. And the data evaluation has begun within a subset of mathematics powered by a discipline named probability and statistical analysis. Slowly, this discipline evolved into Business Intelligence that further into Data Science. The latter is the most sought after and well-paid career option for today’s tech-inspired generation. Grab a data science certification in Gurgaon and push your career to success. The responsibility of storage, ensuring security and provide accessibility for data is huge. Managing volumes and volumes of data is posing a challenge in itself – for example, even powering and cooling enough HDD RAID arrays to keep an Exabyte of raw data tends to break the bank for many companies. Software-defined storage and flash devices are being deployed for big data storage. They promise of better direct business benefit. Also, increasingly Apache Spark Hadoop or simply Spark is taking care of the software side of big data analytics. Whether your big data cluster is developed on these open-source architectures or some other big data frameworks, it will for sure impact your storage decisions. Hadoop is in this business of storage for big data for quite some time now. It is a robust open-source framework opted for suave processing of big data. It led to the emergence of server clusters and Facebook is known to have the largest Hadoop cluster containing millions of nodes. Now, the question remains where and how you proceed with Hadoop – there are so many differing opinions about how you approach Hadoop clusters, at times it may leave you exasperated. For that, we can help you here. With a huge array of data at play, we suggest to deploy a dedicated processing, storage and networking system in different racks to avoid latency or performance issues. It is for the same reasons, we ask you to stay away running Hadoop in a virtual environment. Instead, implement HDFS (Hadoop Distributed File System) – it is perfect for distributed storage and processing with the help of commodity hardware. The structure is simple, tolerant, expandable and scalable. Besides, the cost of data storage should also be given a look at – cost should be kept low and data compression features should likely to be implemented. For Big Data Hadoop certification in Delhi NCR, drop by DexLab Analytics. Times are changing, and so are we. 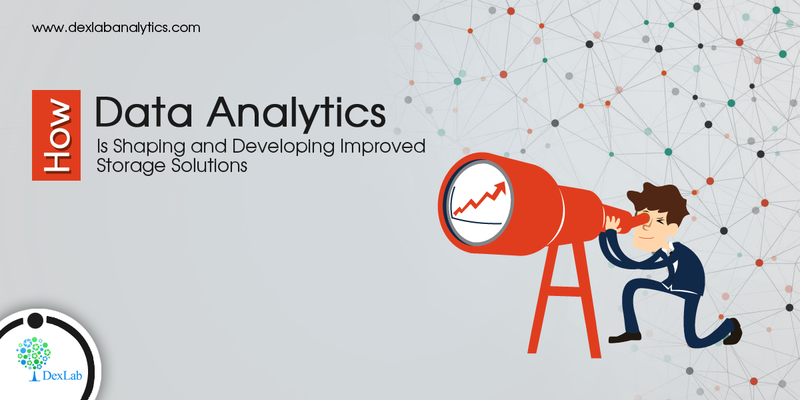 Big data analytics are becoming more real-time, hence better you scale up to real-time analytics. Today, data analytics have gone way beyond the conventional desktop considerations – it has now become a lot more, and to keep pace with the analytics evolution, you need to have sound storage infrastructure, where possible upgrades to computing, storage and networking is easily available and implementable. To answer about big data or Hadoop, power yourself up with a good certification in Big Data Hadoop from DexLab Anlaytics – such intensive big data courses do help!